Do you love to play the saxophone? 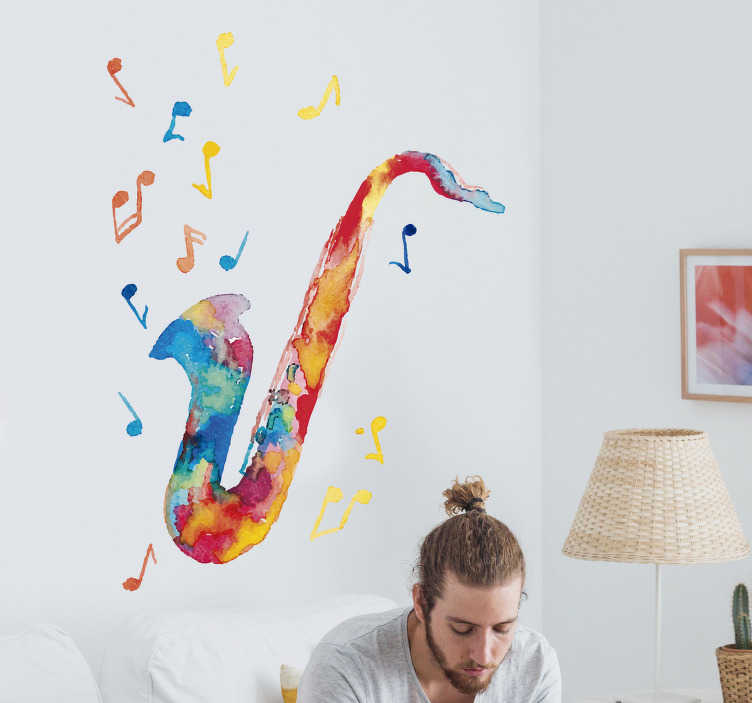 Maybe you see yourself as the next John Coltrane; or maybe you just love the instrument - Well, whatever your motivation; this multicoloured saxophone themed music wall sticker is ideal for you! Decorate your wall in the colours of the rainbow thanks to this amazing wall art sticker!